Happy hump day! I hope y’all had a great Valentine’s Day. We had a fun and eventful one! After dropping off Harper at Mother’s Day Out, Rohen and I spent the morning together. I ran some errands and picked up little goodies for my three valentines. We headed back to the school around lunch time to join Harp for his V-day party. The boys played and we ate too many sweets. Of course our sugar high kicked in just before nap time! Lucky me! Ha! It’s been chilly and raining here in Nashville lately. We’re dreaming of warmer weather when we can be outside every day. We live for the spring because the boys and I love spending our mornings and afternoons rocking on the front porch or playing in the backyard. Harper and Rohen are at fun ages now, 4 and 1 1/2. They enjoy playing together a lot more and just have the best time. One thing they both love to do is watch the rain and jump in big puddles. I got them matching rain boots not too long ago and they just love putting them to good use. My boys won’t always let me dress them in cute little matching outfits, so I take advantage of it while I still can. 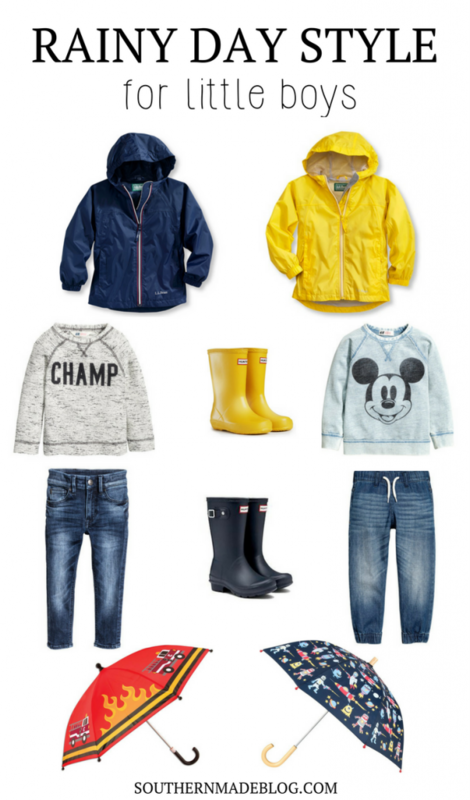 I thought I’d round up some rainy day favorites for y’all! I also wanted to introduce you to some blogger friends today. These gorgeous gals are also boy mamas! 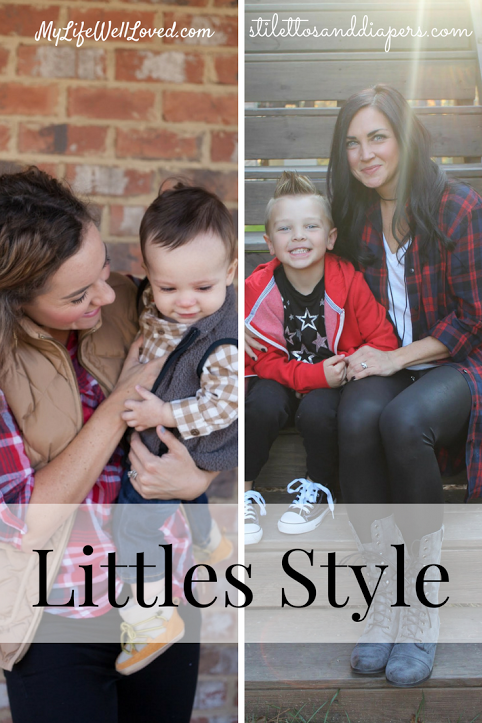 Each month they share a blog post about littles style and they asked me to join along for February. Be sure to check out Heather from My Life Well Loved and Molly from Stilettos and Diapers. They’re just the sweetest and I know you’ll love them, too! !